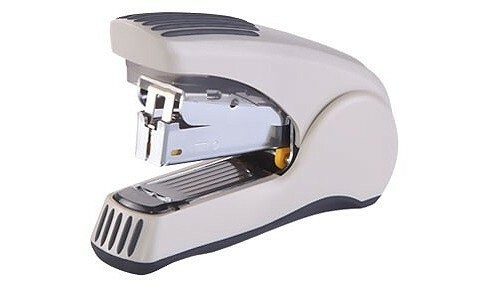 Less force mini stapler with in-built staple storage compartment. Soft rubber grip and anti-skid base for comfortable stapling. Uses 50% less force than standard staplers. The base length of stapler is 32mm. One Strip having No.10 or 50*2/100*1 can be loaded at once.